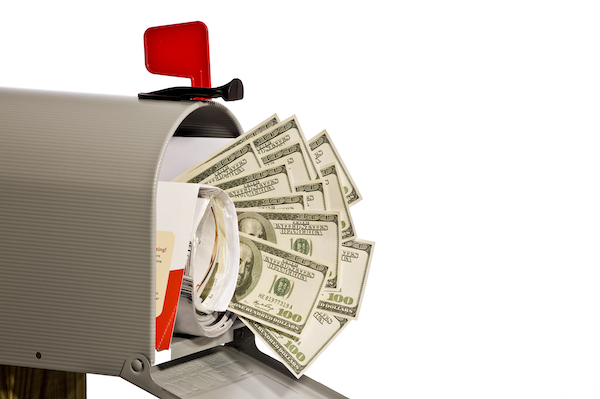 Could Direct Mail Boost Your Business In This New Year? Are you looking for a marketing strategy that saves on your budget and guarantees you real-time results? Is all that you need an easy way to send your promotional materials to as many recipients with less hassles? Carolina direct mail can help make your dreams come true. Direct mail is also popularly known as advertising mail, junk mail, admail or mailshot and it is a powerful, incredible and fast advertisement channel used in the modern world. When it comes to delivery of advertisement or promotional materials, direct mail is what many businesses are using to maximize on profits and minimize expenses. Direct marketing involves distribution of a physical piece of advertising material via U.S. postal service or other courier services to the target audience whether home or office, where the mail arrives uninvited. The mail can be in form of letters, brochures, catalogues, postcards, letters, newsletters, flyers or coupon packages among others. Unlike many advertisement channels that speak to a general audience without knowing exactly who will needs the promotional services or products being advertises, direct mail involves sending the mail to the buyers who are most likely to be interested with what is being promoted. Therefore, direct mail is considered to be a very effective advertisement channel. Mail is delivered at the doorstep of the individuals who appear in the mailing list. One of the most essential components of direct mail is having a successful direct mail campaign that is made possible by having a comprehensive mailing list. You need to know exactly who wants or needs the services or products being promoted and ensure that you get in front of them and not people that won’t even be looking for whatever it is that you offer. When You Think Of Direct Mail, Think About What Matters Most! In order for you to enjoy the convenience and the effectiveness brought about by Carolina direct mail, you must ensure that the right customers get your message. This depends on the nature of your business. Consider factors like age, gender, level of education, income level, and car/home owner or not, kids/pets at home, have diabetes, among others. You should be able to know who your ideal customers are and how you can describe them. In order to get the best results, you need to be very specific. After knowing you’re your ideal customers, then you can find them. For you to find your ideal list, it can be a tough task to do it on your own. Finding mailing list brokers is your best bet, make sure you work with a truly professional firm to ensure the quality of your mailing list. They will rent you a comprehensive list of prospects or people who need your services or products. Having the right mailer and the right list is the secret behind the success of any given business. Looking For The Right Mailer? If your business has to achieve a competitive edge in the current stiff competition where you find many businesses offering similar products and services, you need help to make your message appear the top. For you to provide your customers with exceptional and personalized services, finding a mailing company that gives attention to details ,design, print and mail your letter to the ideal list of prospects, Carolina direct mail is your one-stop-shop that helps you get sorted in real-time. We put out nothing but quality, if we wouldn’t put our own business information on it, we won’t send it out plain and simple. nextCould Direct Mail Help Your Small Business?